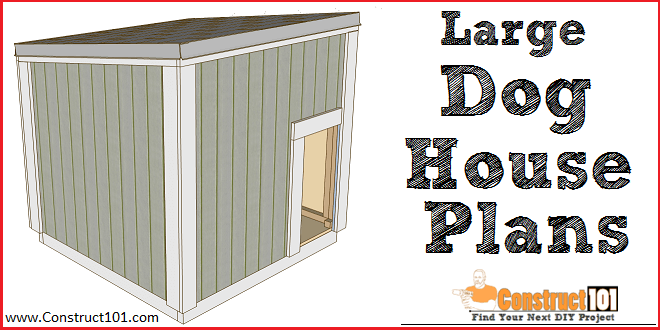 Large dog house plans for a sloped roof style dog house. 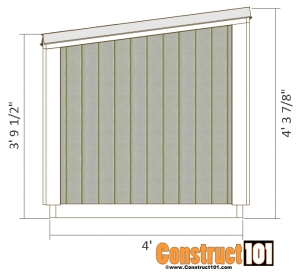 This dog house measures 4′ wide and 4′ deep. 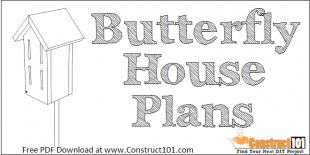 Plans include step-by-step illustrated instructions, measurements, cutting list, and shopping list. 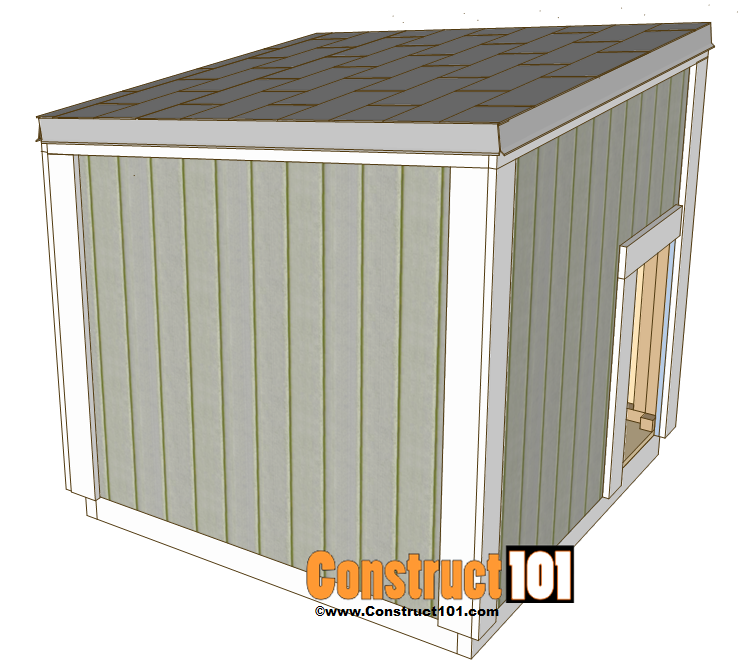 The dog house floor frame is built using 2×4’s. Cut two 2×4’s to 4′ long and two 2×4’s to 3′ 9″ long. 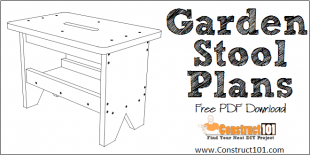 Assemble as shown on illustration above using 3 1/2″ nails. Cut a 3/4″ plywood to 4’x4′ for the floor deck. 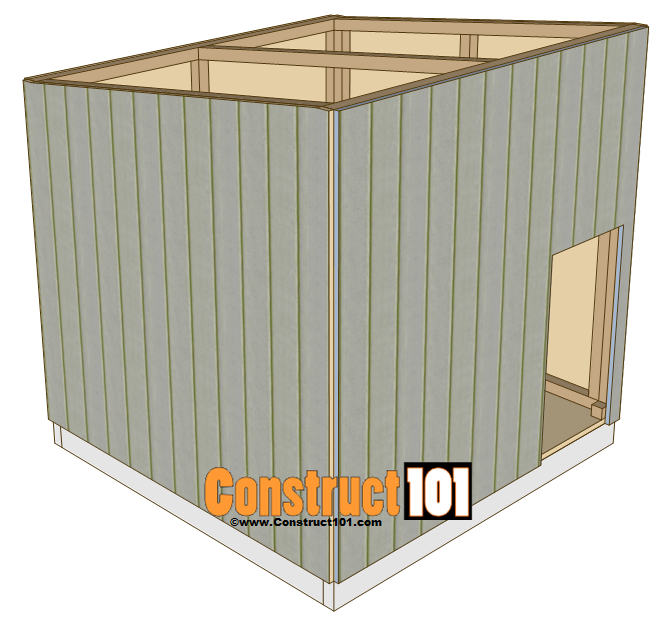 The dog house frame is built using 2×2 lumber. 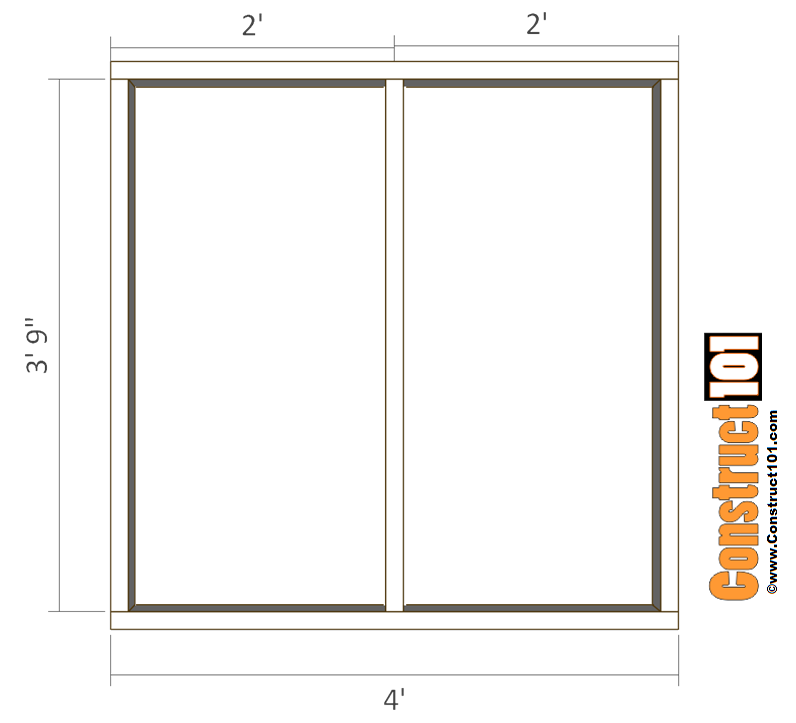 Cut two 2×2’s to 4′ long for the front wall frame and three 2×2’s to 3′ 8 1/4″ long. 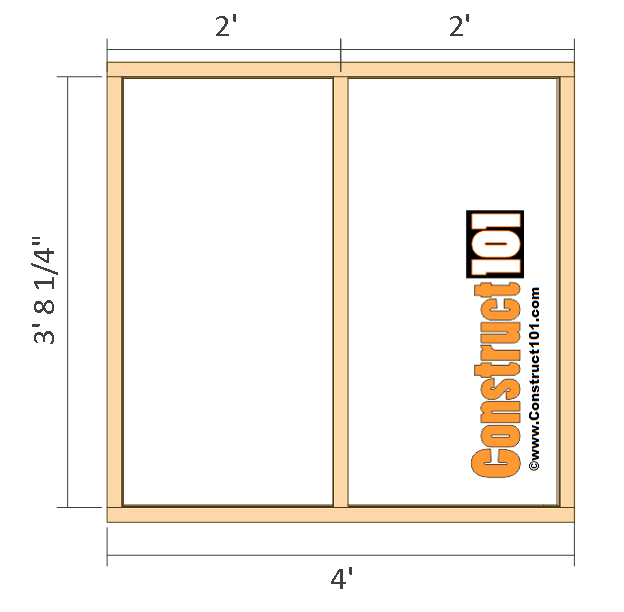 Cut two 2×2’s to 4′ long and three 2×2’s to 3′ 2 1/4″ for the back wall frame. Assemble as shown on illustration above using 3 1/2″ nails. Cut two 2×2’s to 3′ 9″ long. 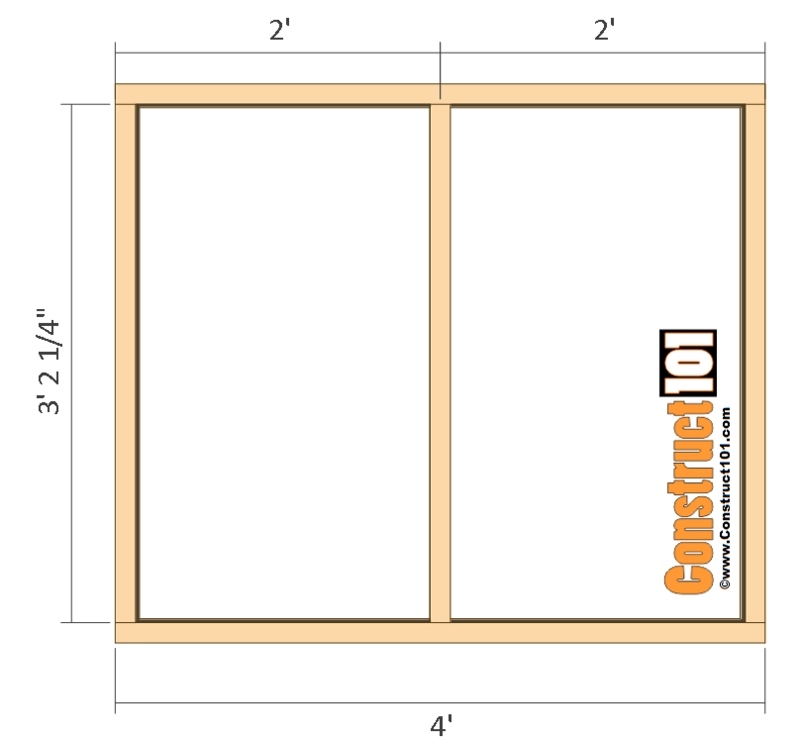 Cut two 2×2’s to 3′ 9 5/8″ long, both ends will have a 7.5 degree angle cut. 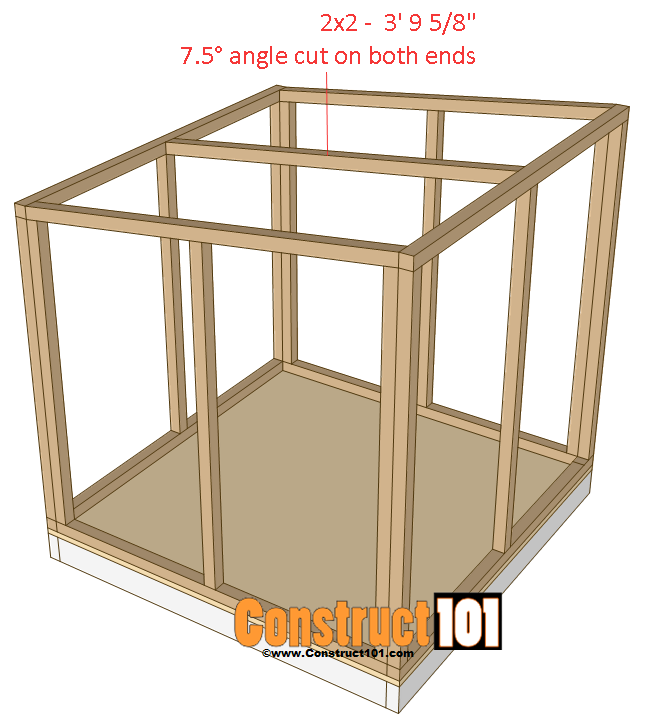 Cut two 2×2’s to 3′ 8 1/4″ long, one end will have a 7.5 degree angle cut. 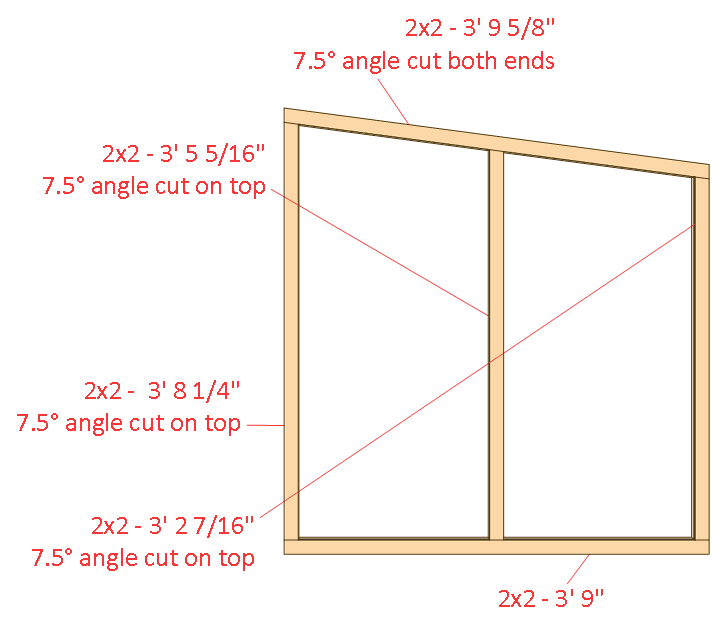 Cut two 2×2’s to 3′ 5 5/16″ long, one end will have a 7.5 degree angle cut. 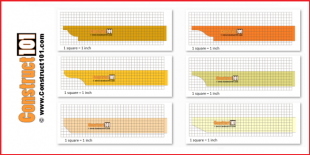 Cut two 2×2’s to 3′ 2 7/16″ long, one end will have a 7.5 degree angle cut. 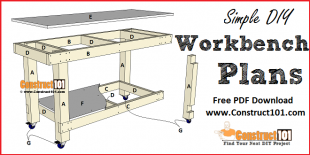 Install the frame as shown on illustration above using 3 1/2″ nails. Nail through the frame and into the floor. 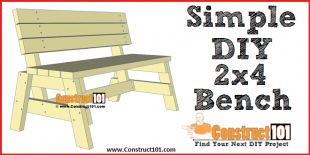 Cut a 2×2 to 3′ 9 5/8″ long and 7.5 degree angle cuts on both ends. 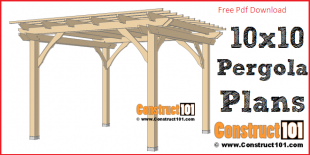 Install to the roof as shown above using 3 1/2″ nails. 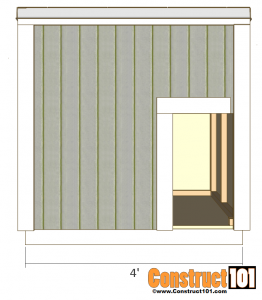 Cut three pieces of t1-11 exterior siding to 4′ for the front and sides. Cut one piece of t1-11 exterior siding to 4’x3′ 6″ for the back siding. 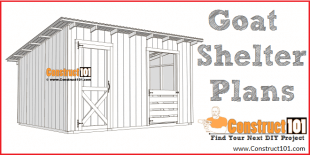 Install using 1 1/2″ finishing nails. Once the siding has been installed cut the side siding to shape. Cut door entrance for the front. 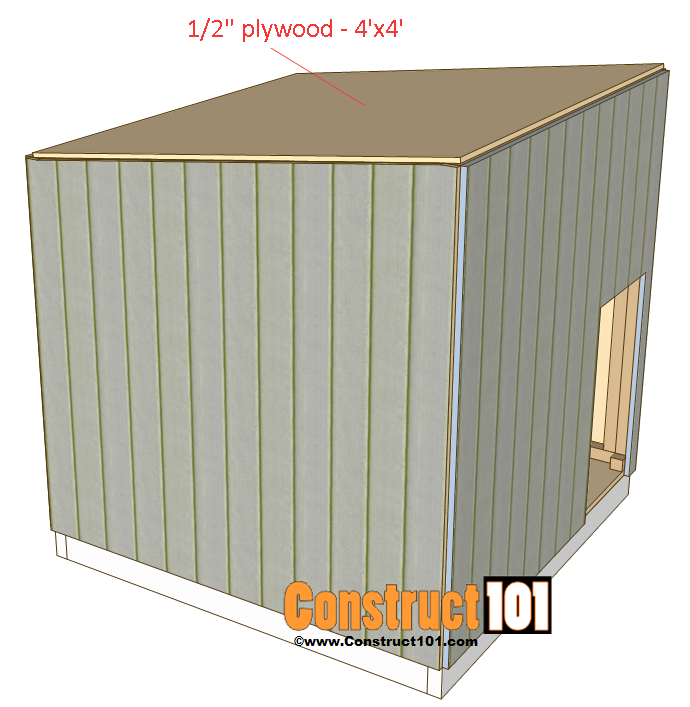 Cut a piece of 1/2″ plywood to 4’x4′ for the roof deck and install with 1 1/2″ nails. 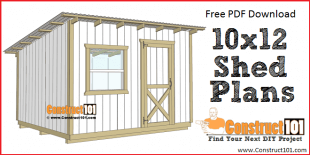 Finish this dog house project by installing 1×4 trim. 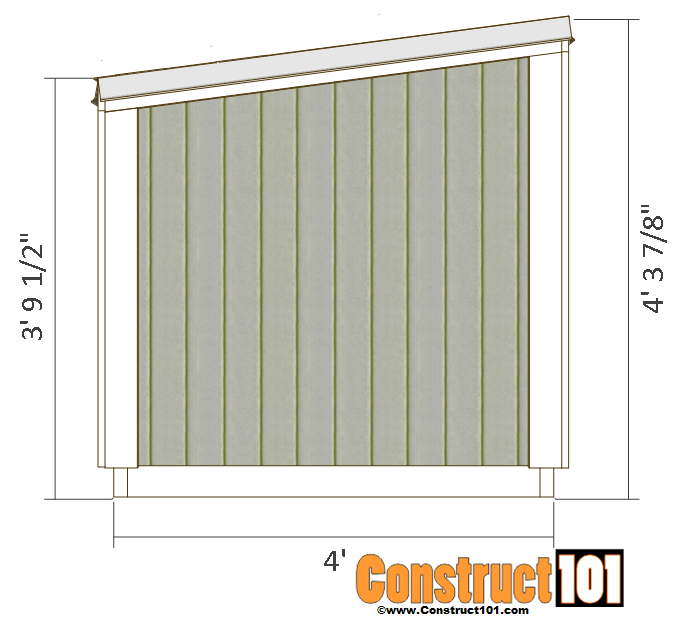 Measure and cut trim to size for the top, corners and door entrance. Install the drip edge, roofing felt, and shingles. 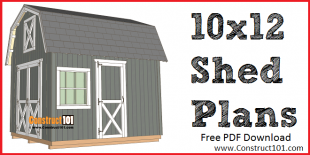 Like these large dog house plans? Let me know, leave me a comment below. Share this link with your friends and your social media, thanks.